This website can reveal where the Nationalist Party leader, Adrian Delia, was while the Head of State, Chief Justice, Attorney-General and the party’s MPs and officials waited for him for an hour and a half at the Palace in Valletta last Friday. He was at the Massimo Dutti shop at The Point shopping mall in Sliema, browsing the rails and trying on suits and shirts. 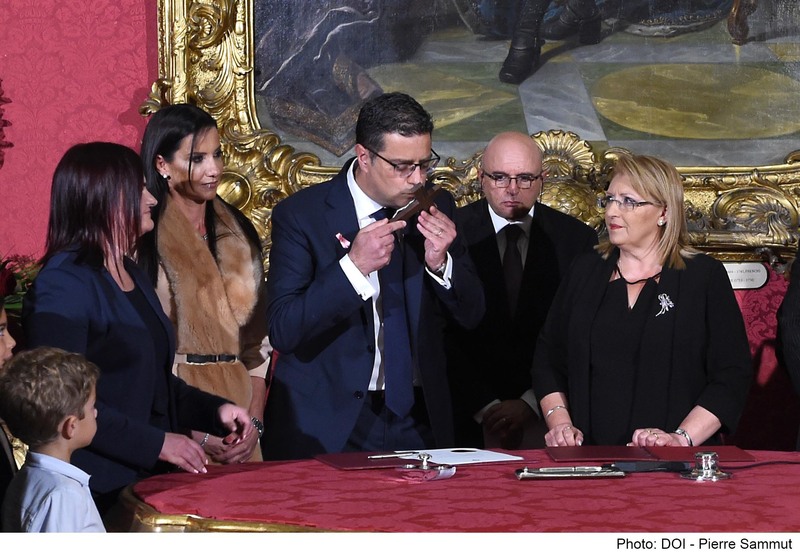 Delia was meant to be at the Palace at 5.15pm for the start at 5.30pm of the official ceremony in which he was sworn in as leader of the Opposition in terms of the Maltese Constitution. Instead, he rolled up casually at 6.40pm, offering no explanation and making no apology. When journalists at the event challenged him about his extraordinary lateness and asked him for an explanation, Delia replied: “This is a time for unity and not for controversies.” He offered no further explanation or even an expression of regret. The following day, when all the newspapers reported on his extreme tardiness, and how he kept the holders of Constitutional office, including the President, waiting for so long at a ceremony is his own honour, he tweeted “I apologise for taking longer than expected to arrive”, which was widely taken to compound the gravity of the situation because he appeared to make light of it. People who saw Delia shopping for clothes at Massimo Dutti late on Friday afternoon at first thought nothing of it because they had no idea he was meant to be at the Palace in Valletta for his own swearing-in ceremony at that particular time, and would never have imagined that something like that would be possible. But after they read posts on this website saying how late he was for the ceremony, they got in touch to say that it was because he was shopping for clothes. I then rang the Massimo Dutti shop and asked to speak to the manager, who confirmed that the Nationalist Party leader was there on Friday afternoon, that he helped him personally, and that Dr Delia was there to specifically to select “a suit, shirt and tie” for his official swearing-in ceremony. Last Friday at 5.30pm you were shopping for clothes at Massimo Dutti at The Point in Sliema, while the head of state, Chief Justice, Attorney-General and your own people from the Nationalist Party waited at the Palace in Valletta to have you sworn in as Opposition leader. What is your explanation for your otherwise inexplicable decision to do something so crazy? Adrian Delia, wearing the suit, shirt and tie he bought at Massimo Dutti in Sliema while the President. Chief Justice, Attorney-General and Nationalist Party MPs and officials waited for him for 90 minutes.